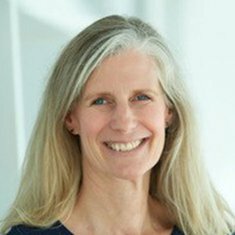 Rebecca Kirch is a consultant to the Center to Advance Palliative Care (CAPC), and is also executive vice president of Healthcare Quality and Value for the National Patient Advocate Foundation (NPAF), the advocacy affiliate of the Patient Advocate Foundation (PAF). Prior to joining NPAF in 2016, Ms. Kirch served for 15 years with the American Cancer Society and its advocacy affiliate, the American Cancer Society Cancer Action Network. She also played a leading role in planning and executing the Institute of Medicine and American Cancer Society 2015 joint workshop, Comprehensive Cancer Care for Children and Families. She currently serves as a member of the National Academies of Science, Engineering, and Medicine’s Roundtable on Quality Care for People with Serious Illness; as co-chair of the Quality of Life and Person-Centered Care Task Force for the American Congress of Rehabilitation Medicine; and as a board member of KOA Care Camps for children with cancer. A frequent guest speaker, Ms. Kirch is also the author of numerous book chapters and articles in such publications as the New England Journal of Medicine, Archives of Internal Medicine, JAMA Oncology, Health Affairs, and others. Previously, she practiced law at two firms in New York State. She has a law degree from Boston College Law School and an undergraduate degree in biology from Wells College in Upstate New York.